After the missionary gift exchange! The first holiday in the mission field has already come and gone for Elder Jones! It was such a happy day to be able to Skype with him on Christmas day and see his face and hear his voice. It was the best part of everyone's day! He is doing so well; happy, healthy, and looking great! The day was spent with fellow missionaries doing a gift exchange, a pinata in the parking lot, and delicious food from many members in the area. Dallin was gifted an awesome hat, but I think it was made for someone with a smaller head in mind. :) On Sunday, a couple investigators came to church and set a date for baptism, which is very exciting! This week, some elders were able to meet up and go out to lunch for the holiday. Dallin met a new friend, Elder Sausser from Idaho and they had a great time sharing stories and connecting about being from the USA! A member families new kitten. Dallin was smitten! A quick MRI for his companions knee. All is well, but they had some fun taking photos! Decorating the apartment with some lights from Mom. Elder Santa is a little too tall for the doorways in Mexico. Handmade gift exchange. Nice antlers, Dallin! Elder Sausser received Dallin's "homemade" scarf! Dallin & Elder Hulme. 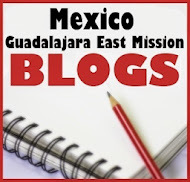 Check out his misison blog here. Some letters arrived in time for Christmas! Elder Nelson spoke and instructed us on many topics. What I liked the most is when he talked about the word doctrine. In the scriptures, when the word Doctrine is used in plural form (doctrines) it is referring to Satan or Evil. Elder Nelson shared several scriptures to emphasize this point. Then he instructed us on when Doctrine is used singularly it is about the Doctrine of Christ, and Elder Nelson shared several scriptures while teaching of this important topic. It has been really funny watching the little kids look at me. Yesterday a few were saluting us as we walked down the street. Sometimes kids and adults literally stop walking and just look up at me and then I start talking to them which really surprises them. When I am walking the area I sometimes I hear some music from the US. The other day I heard NSYNC and I just totally had to laugh. We have a few investigators that are progressing well we have 2 other investigators with a baptismal date set for January 17. My companion goes home on January 19 so I hope they continue to progress and remain committed. 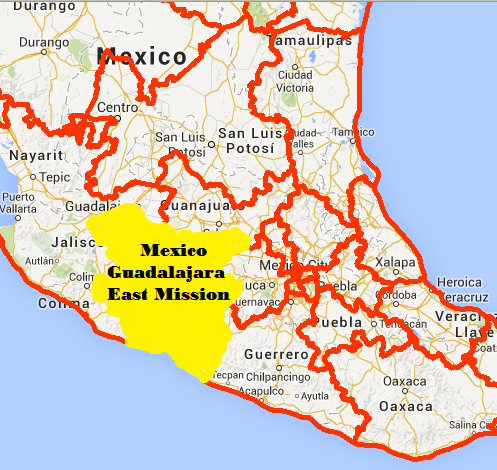 I know that Christmas time is time to be with our families, and even though I won’t be with you, I will be with my brothers and sisters in Mexico bringing them the gospel, and bringing tidings of great joy. I love you so much. I know that you will all be blessed because of my missionary service. I am so glad to be out here, and at times it is tough but overall, I am having a great time. The only hard part is being away from the ones I love. I know Jesus Christ lives and he is the best gift we could have ever receive. Be strong in the gospel, pray always, read the scriptures every day and go the temple as much as possible. I love you all so much! 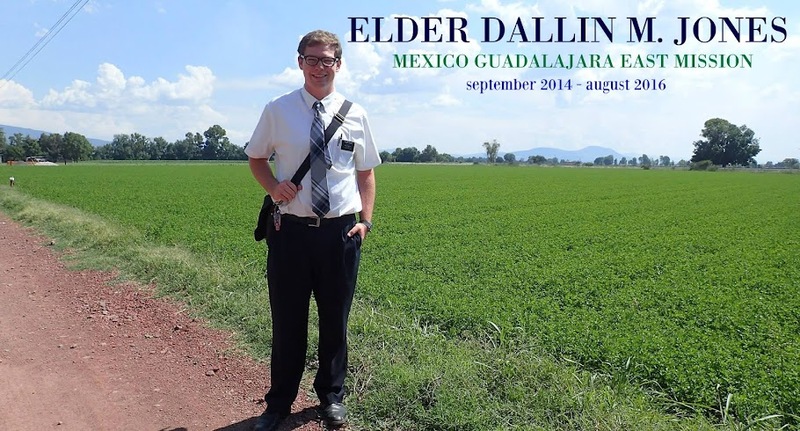 Elder Sweeten, one of Dallin's MTC companions! Elder Struhs, another MTC companion. How do you not buy an Olaf soap dispenser?! We have been visiting some less active families in the Ward s and a few attend church again along with some of our investigators which was great. It is fun to see the efforts of your work rewarded. One of the less active members bore an impressive testimony with conviction. He spoke well, was animated, and it was just great. I taught some really good lessons this week and my Spanish when I teach is really good but then after I try to talk and it’s like, "Okay, what happened and why can’t I even remember the exact words in Spanish?" It is kind of frustrating, but when I am focused, I speak well. I still needed to practice more but I think I am progressing. I invited 2 people to be baptized this week and we have a nice lady who just returned from her mission two weeks ago helping us with one family. We hope to set a baptismal date in two weeks. Holiday decorations in a members home. A Christmas treat from some members-- frozen bananas! This is for Rachel-- gotta love that Fanta! At a conference with some other missionaries in the area. "What does the fox say?!" Little missionary fox came with some Christmas goodies from home! Dallin's companion with a little package from the Jones family. It's a happy day when you find some Carls Jr! The back of Elder Jones' name tag. An old photo of his first day in the field. Photos wouldn't load this week, so we are hoping for double next! Short and sweet from Elder Jones this week. They were pleased to have so many investigators at church this past Sunday and shared the gospel with them. Lots of walking and working is making Dallin a little lighter these days...but still no complaints in the food department. Each week he has us dreaming of fresh fish tacos & frozen bananas. As always, he is happy, healthy, and working hard!